One of the things I miss most about living in London is the West End. Having access to a huge variety of shows, musicals and plays was something I never took for granted and I quite often took myself to the theatre in the evenings to escape my hectic city life. Luckily there are some beautiful theatres in towns and cities across the UK that host touring productions of shows straight from the West End. Since moving to the North East, the Sunderland Empire has been my theatre of choice and Simon and I have enjoyed several date nights there. 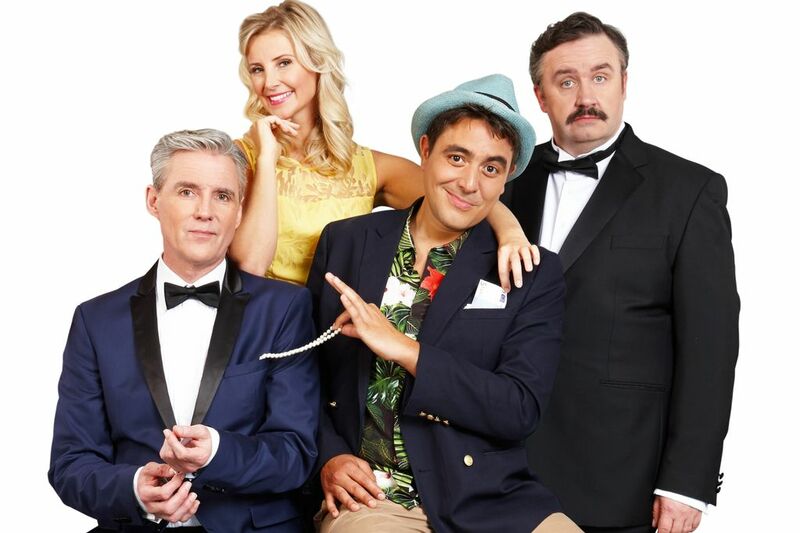 Last week we were invited to see Dirty Rotten Scoundrels, starring Michael Praed (Robin of Sherwood), Noel Sullivan (Hear'say), Carley Stenson (Hollyoaks) and Mark Benton (who, having been in a huge number of things on TV is an instantly recognisable face). It's always nice to see some recognisable faces on stage and we were looking forward to seeing a few favourites. We had the pleasure of seeing Noel Sullivan on stage at the Empire last year when the ex "Popstars" star was in the touring production of "Rock of Ages". Simon and I were particularly impressed with his performance that night. Carly Stenson is one of my favourite rising stars in the West End, following her departure from Hollyoaks she went on to star in Legally Blonde and Shrek and, having already seen her in both shows and thoroughly enjoyed her performance, I was looking forward to seeing her again. I will admit that I knew very little about Dirty Rotten Scoundrels before seeing the show. Based on the 1988 film starring Michael Cain and Steve Martin, it tells the story of two con artists attempting to dupe an "American Soap Queen" out of her fortune. The show was fast paced and filled with comedy, it made me smile and glancing over at Simon a few times he definitely let out the odd snigger. Lots of others round the theatre were roaring with laughter so the show was a definite hit with Sunderland. We loved the colourful set and there were some catchy tunes and plenty of funny lyrics to keep us entertained. The story was filled with twists that kept us on the edge of our seats and the final twist at the end we didn't see coming. 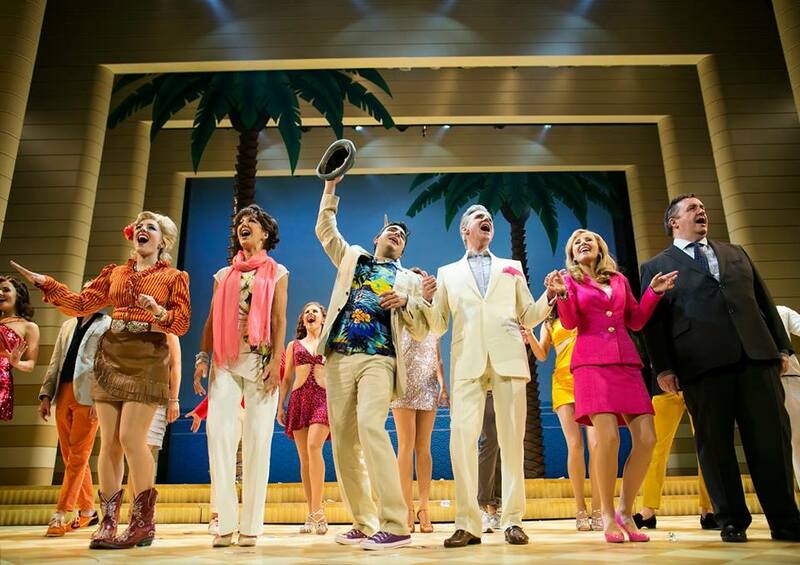 Unfortunately, Dirty Rotten Scoundrels was only in Sunderland for a week and closes today but you can catch it as it continues its tour to Glasgow, Liverpool, Torquay, Stoke, Oxford, Edinburgh, Woking, Bristol and Milton Keynes. For those of you in the North East, Sunderland is playing host to some of my favourite shows this year. As a massive theatre geek I definitely recommend you check out Top Hat, Priscilla Queen of the Desert, Jersey Boys and Shrek. Get your tickets here, and let me know what you're planning to see! All photos of the show are official photographs not taken by me ... the cheesy iPhone "selfie" is all my own work! I love going to the theatre. Escaping the real world for a few hours. It's great. Definitely, I want to go more now! Yeah I always like the ones with some music and dance in! Sunderland definitely seems to get the best shows in the North East! It looks like a great show.